I am fascinated by waterlilies. I have always loved the impressionistic waterlily paintings by Claude Monet. However, I like to juxtapose very graphic reflections with the natural, organic shapes of the waterlilies. In 2012, my husband and I took a river cruise in France and we visited Monet’s gardens in Giverny. It was an amazing experience that I will never forget! 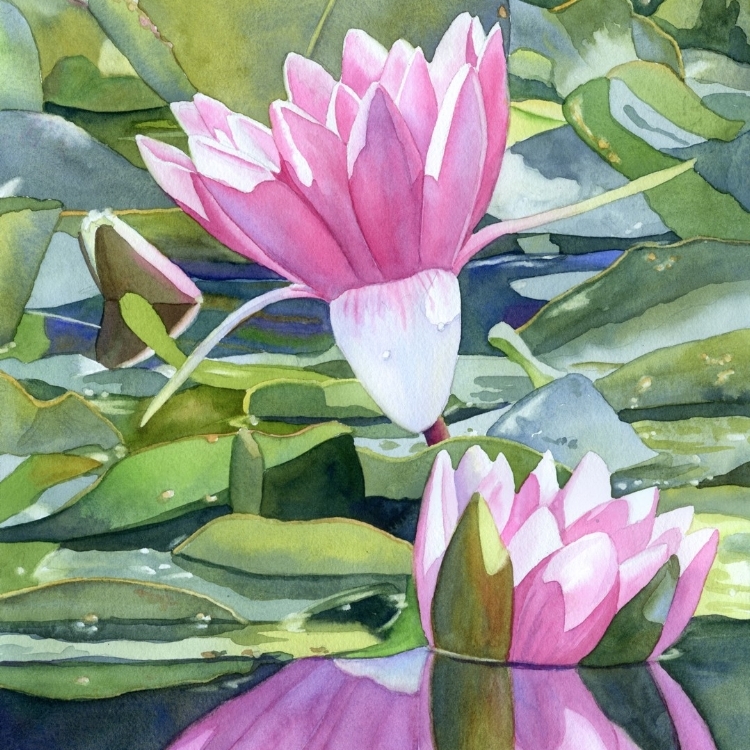 Some of my waterlily paintings are from my photos of Monet’s gardens. Flowers and gardens are another subject I like to paint because there is such a variety and I enjoy capturing the sunlit petals and all of the brilliant colors.